There aren’t many developers that can lay on 400 swimmers crossing an estuary as your breakfast view. 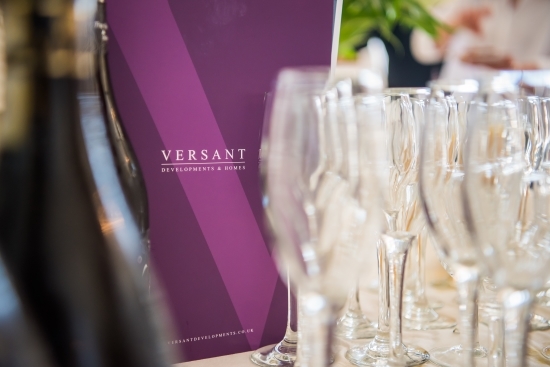 That however is exactly what Versant did when they planned ahead, with their selling agents Marchand Petit, for the launch of their much-anticipated latest residential development at Salcombe Rise. The Harbour Swim was the spectacle that greeted the early bird guests at Salcombe Yacht Club for Versant’s Breakfast Launch of their carefully crafted 12 new executive homes, to be built in a favoured location just outside of the town centre. The library with its great vantage point balcony at Cliff House was still buzzing at lunch time, with guests mingling and meeting the Versant team. Potential home owners had the opportunity to study the floorplans of the seven different house types available at Salcombe Rise, watch the aerial drone footage of work on site and meet Jules Turner of Versant Developments & Homes. For the more adventurous guests, exhilarating rib rides around the estuary and sandy coves were enjoyed on board Sea-n-Shore, before coming back for lunch. The indicative completion date for Salcombe Rise is summer 2018.